This is a bit of a brief goodbye post. 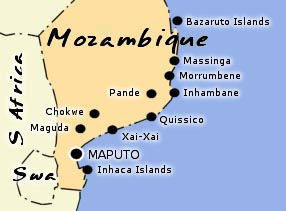 At some un-godly hour tomorrow morning (2am or thereabouts) Varen & I will be heading to the Komatipoort border and on up to Praia do Tofo (just above Inhambane) till the 18th. Yay yay yay! So this afternoon we'll duck early from work and head to his place to get some sleep before the lengthy drive. But not before we hopefully manage to buy some Koi for his dad ... who won't believe me that the "koi" they have in their fish pond are really just your average ordinary run-of-the-mill goldfish. So we're off to buy at least 2 of the real thing to prove my point ;) Hello, I really should know, I've had my koi for a little over a year now! Anyway, onto the exciting news. Last night was such a blast! We *finally* had the Book Club Girlie Party :) And in retrospect it's quite lucky most of those girls left Book Club before it because I'm really not sure it would've been their cup-of-tea ... in fact I'm pretty sure one or two of them would've been downright awkward. Loulou came along with me and we had such a laugh. It was run by some lovely women from Inamorata. And just about everyone bought something, even me ;) Just some novelty/gimmicky stuff, nothing hectic (my Mom reads this blog, okay! ).